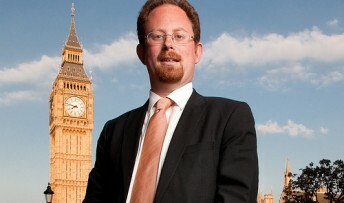 A leading charity is to get the chance to challenge the government’s fit-for-work test directly with the Minister after MP Julian Huppert called for a rethink on the policy in the Commons. Julian told Work and Pensions Minister Mike Penning that charity Rethink Mental Illness had called for the Work Capability Assessment to be paused because it put people with mental illness at a serious disadvantage. This was borne out by three judges in a recent court case. And just hours after he put his question in the Commons yesterday (Monday, October 14), Julian spoke privately to Mr Penning, and persuaded him to meet Rethink Mental Illness to discuss the issue further. “This is excellent news,” said Julian. “Mr Penning, the newly-appointed Minister, seems fairly open-minded on this issue, and I hope this will lead to a frank discussion about this issue and encourage the government to review this policy. Julian took part in a mock fit-for-work test organised by the charity designed to give MPs a deeper insight into the flaws in the assessment process. Paul Jenkins, CEO of Rethink Mental Illness said: “We’re really pleased that Julian Huppert has raised this important issue in Parliament. Around 20,000 people are going through the government’s fit-for-work test every week, despite the fact that in a recent court case judges said the test puts people with mental illness at a ‘substantial disadvantage’.